This limited collection of popular door styles is priced to give you the Best Value for any cabinet doors available on the market. Each of these low cost doors is made with the same high standards as our custom doors and will be made to the sizes you need. Matching accessories and complementary door and drawer styles are available. Perfect for an easy remodel or for a new kitchen! Finished in a light stain to bring out the natural colors and grain of the Red Oak. This style is found in new and old homes across North America and has stood the test of time. Also available unfinished. 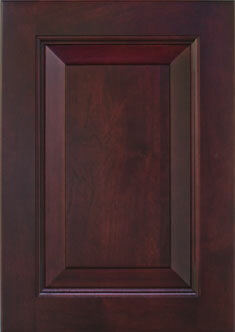 The inside and outside edge profiles and the darker color bring a touch of flair to any home. Finished with rich, Merlot stain as shown. Also available unfinished. Considered both contemporary and traditional. Well-suited for any painted finish. 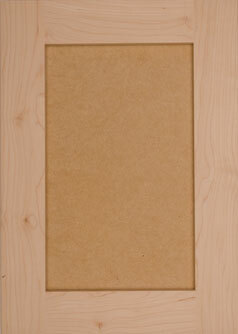 Panel made of MDF. Traditional Colonial styling. Works well in any room of the house. Also available unfinished. Easy to finish and extremely durable. 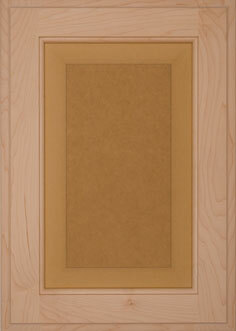 Panel made of MDF to minimize expansion and contraction. 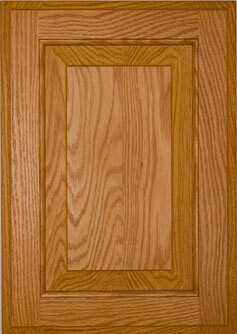 Complements the Oak American door styles, with the same outside edge. Also available unfinished. 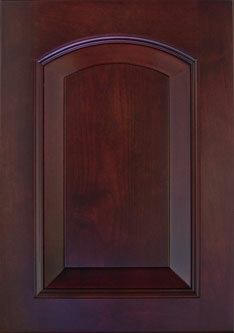 Complements the Alder Hometown door styles, with the same outside edge. Finished with rich, Merlot stain as shown. Also available unfinished. Complements the Paintable Shaker door style, with the same outside edge. Choose unfinished, or painted finished with varnish topcoat. 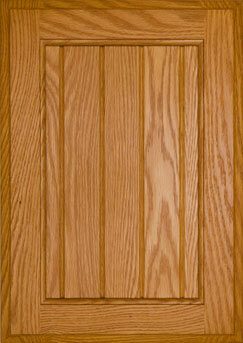 Complements the Paintable Country door style, with the same outside edge.